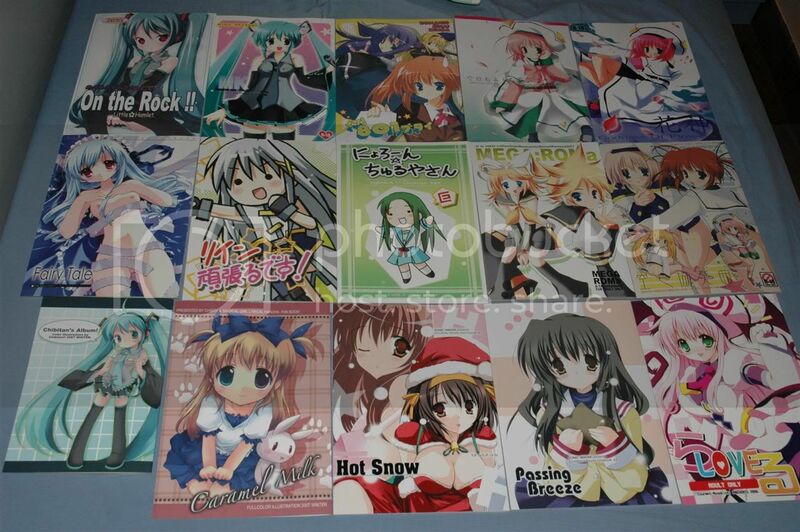 ~Eternal Snow~: Japan Trip Loots and others! 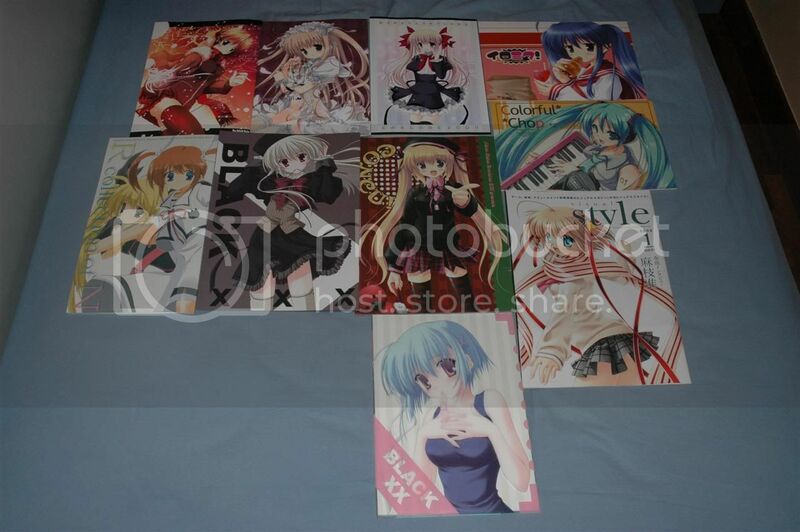 As promised that I'll do a post on the anime loots from Japan before the end of this week, and I intend to keep that promise (I was actually lazy to do it). 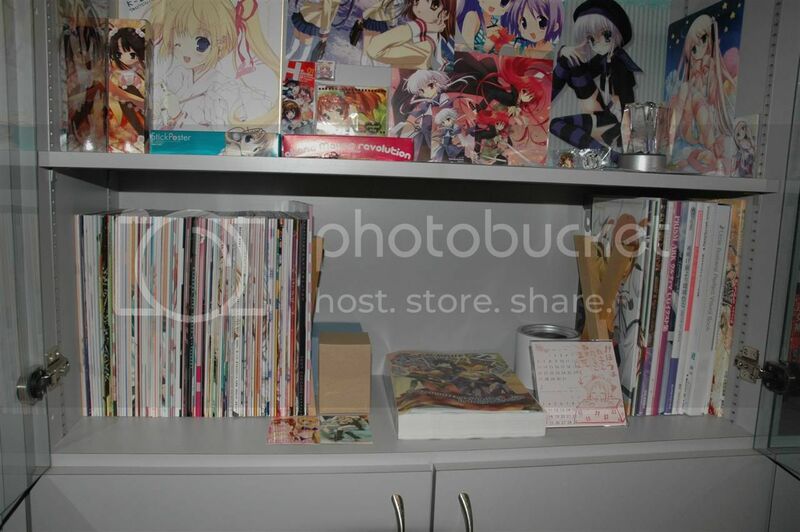 Besides the Japan trip loots, I'll also be putting some "preview" shots of part of my room, but since most of the room still isn't done it's also ain't much. 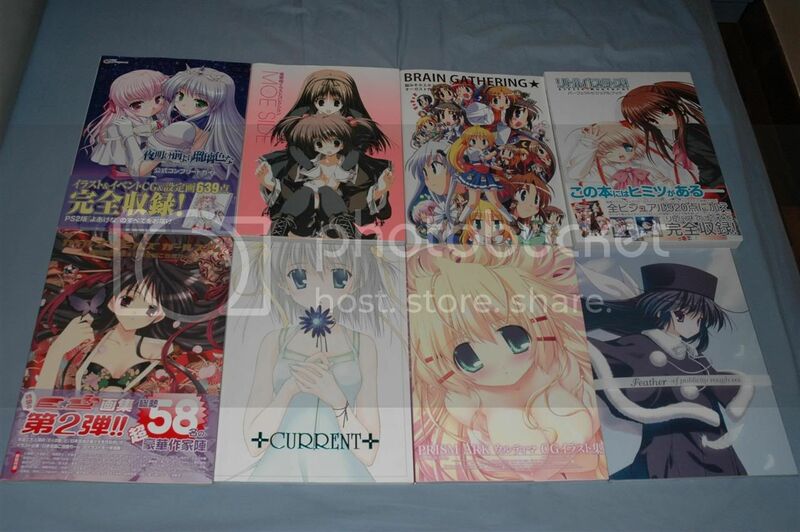 Also included will be my MEGAMI and Dengeki Hime collection to date ^^. 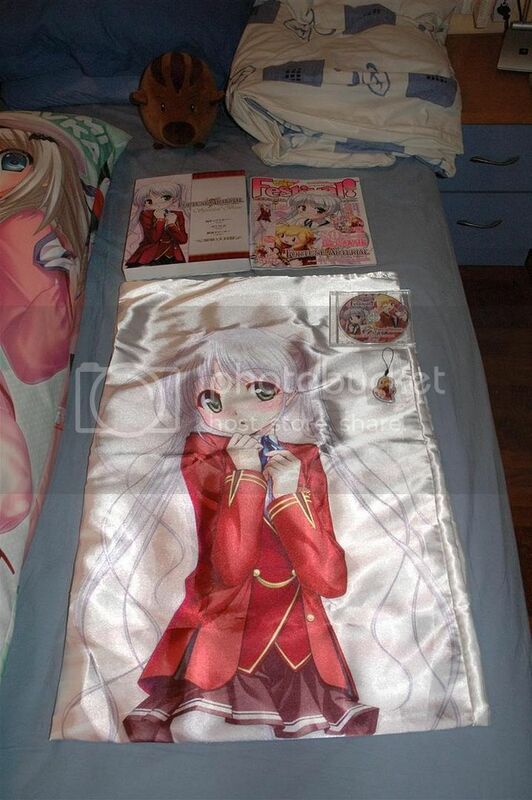 WARNING: Some of the photos and links are NSFW (Not Safe For Work), view at your own risk. Ito Noizi & Naru Nanao C73 Collaboration Telephone Card. 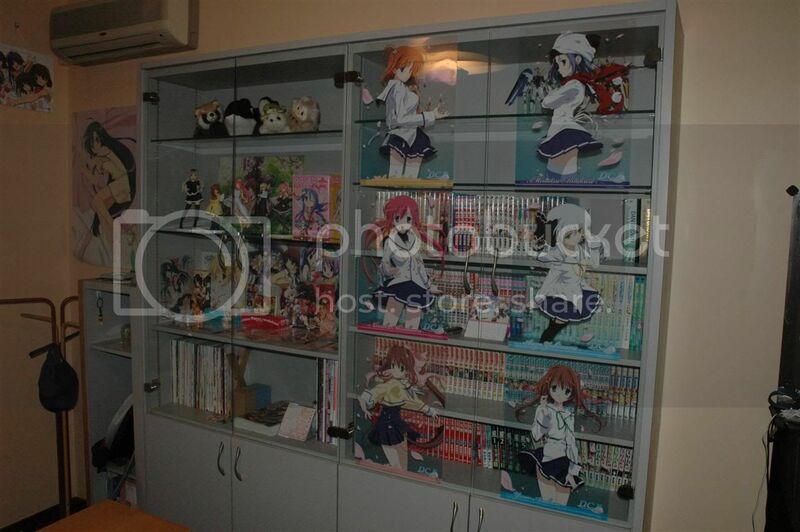 Location where I store my doujins and Artbooks. 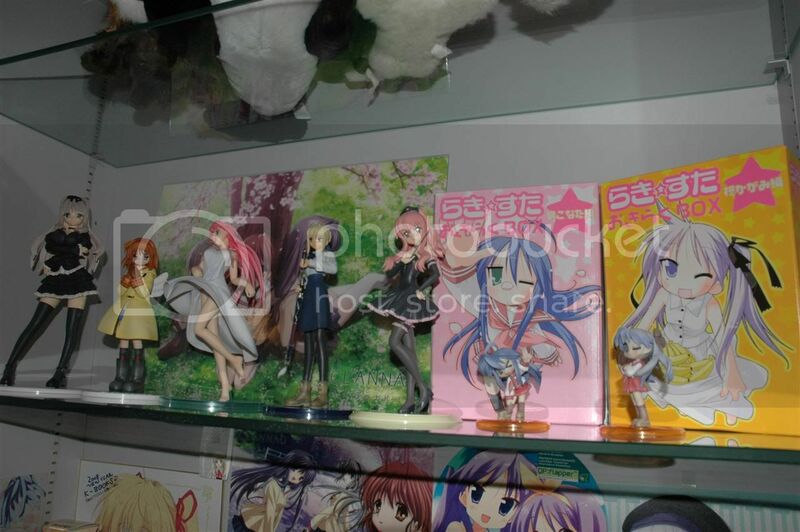 My figurines!! 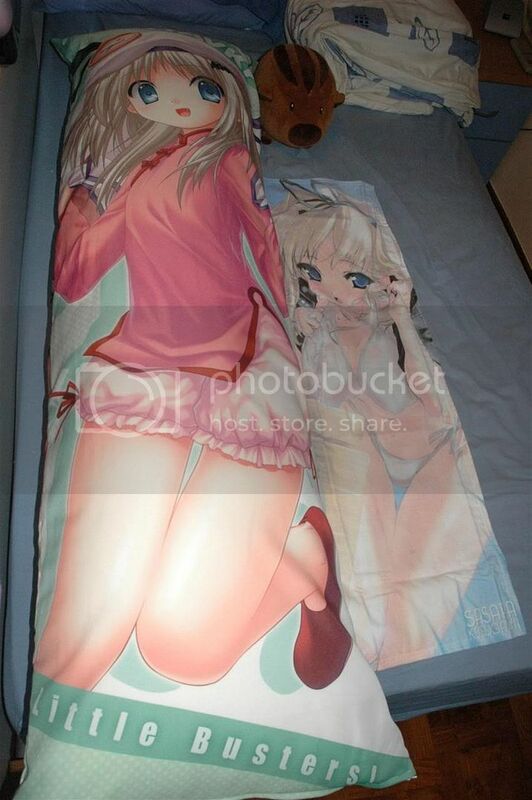 The Saber is my cousin's one though. 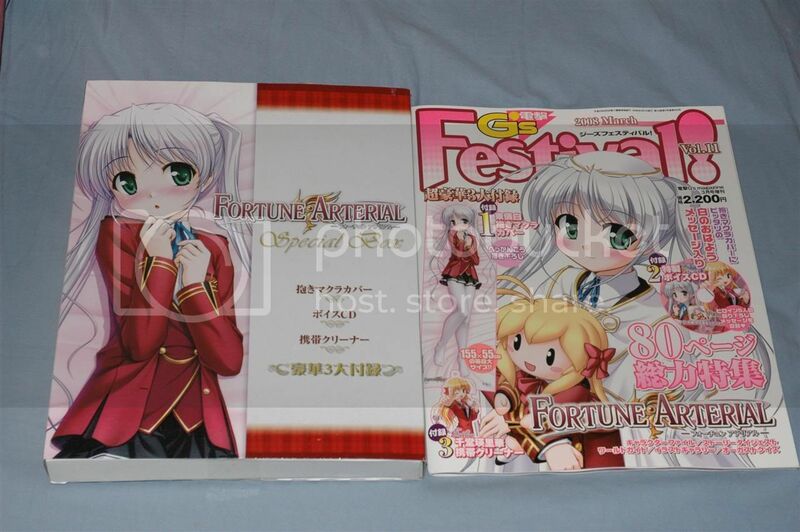 I hand-carried Sasara, Ayu and Fauna from Japan. 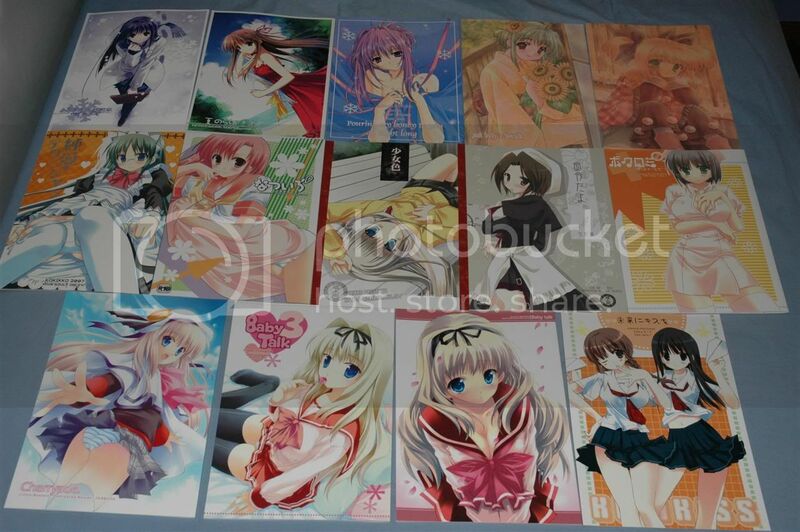 The 2 Lucky Star boxes were checked-in luggage. Louise just arrived last week. 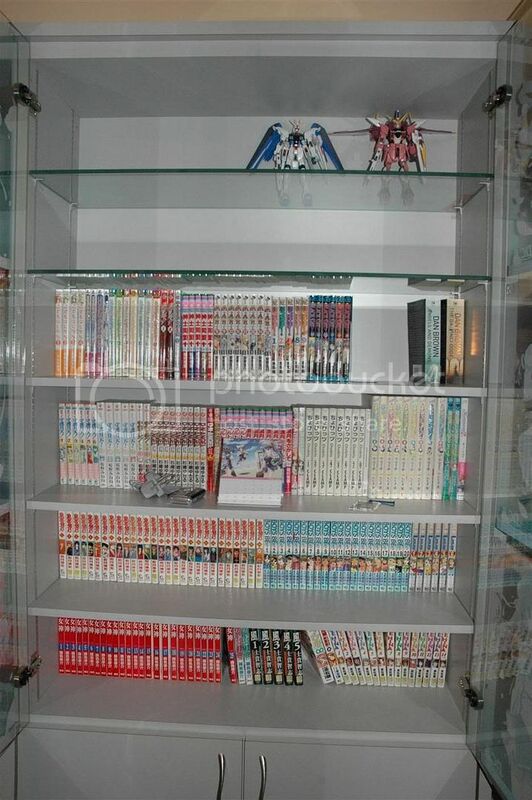 only started collecting them from 2007 October onwards. 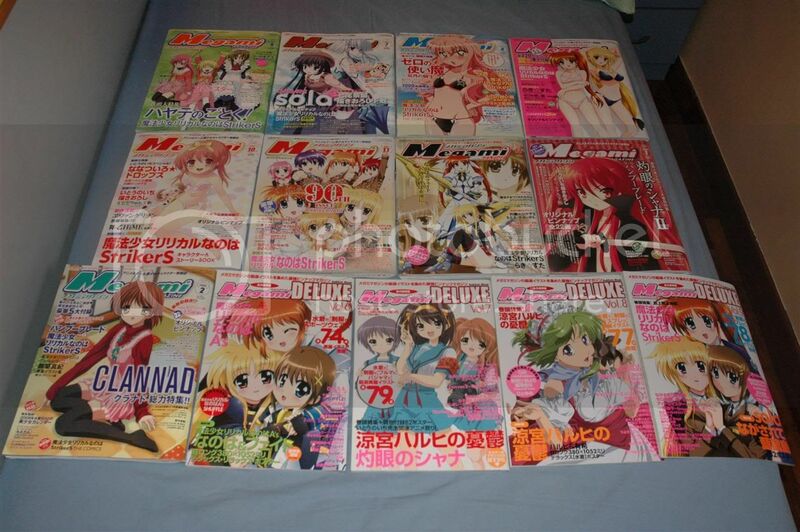 First 12 months buying of MEGAMI which I collected monthly from KKnM last time. 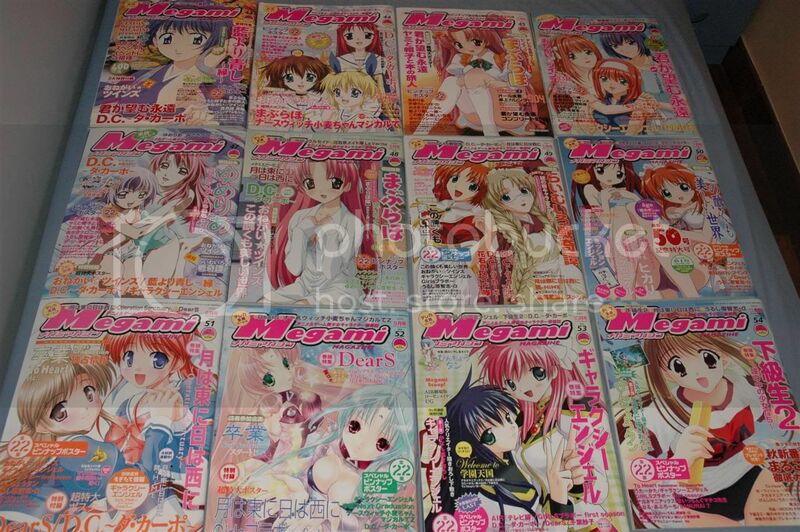 However due to money constraint I eventually had to stop collecting them. 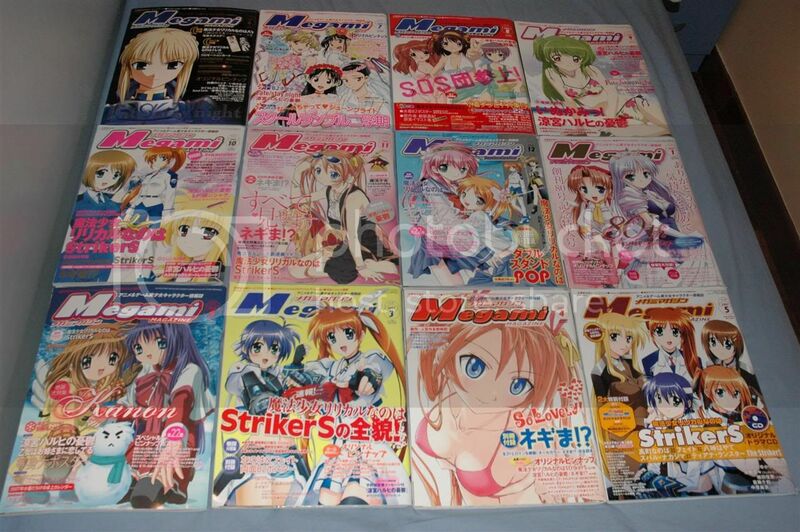 (2003 Dec - 2004 Nov) Restarted buying MEGAMI after enlistment to NS (2006 June). 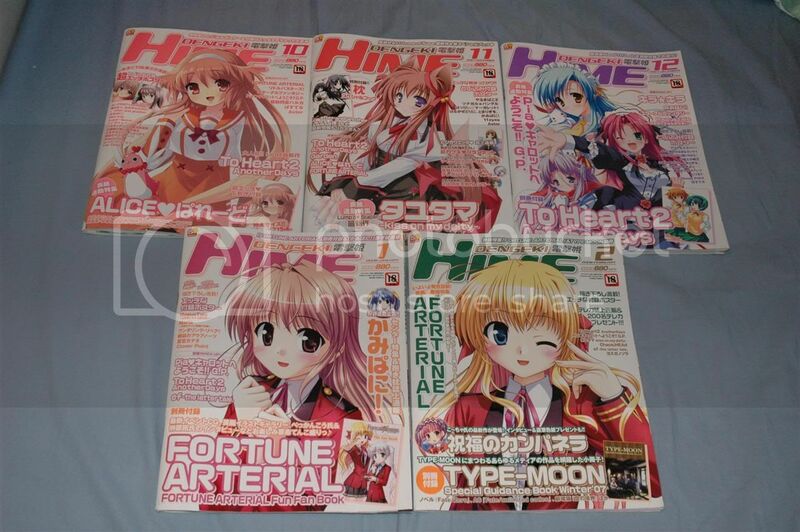 However instead of buying from KKnM, mine is directly imported from Japan by J-list, same as my Dengeki Hime. 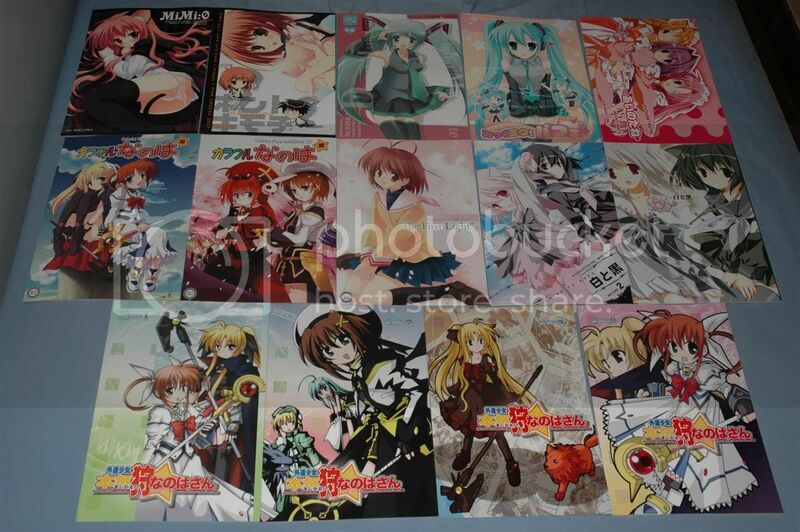 Still collecting them till today. 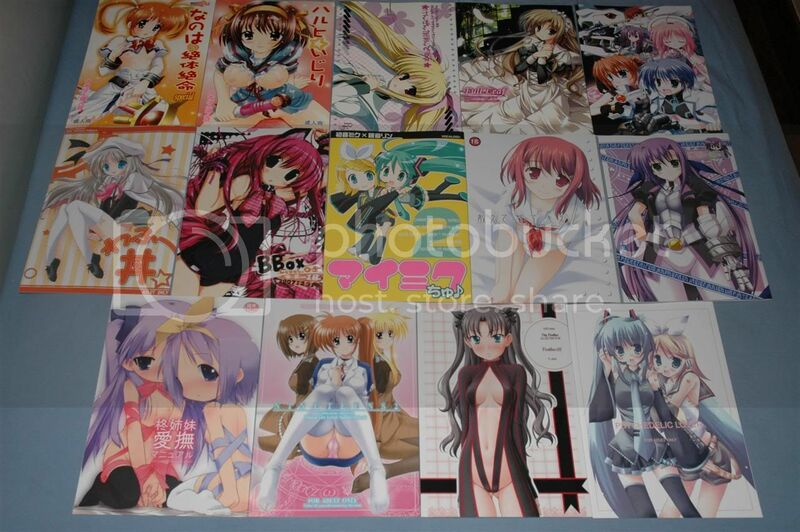 More MEGAMI and also MEGAMI Deluxe Vols. 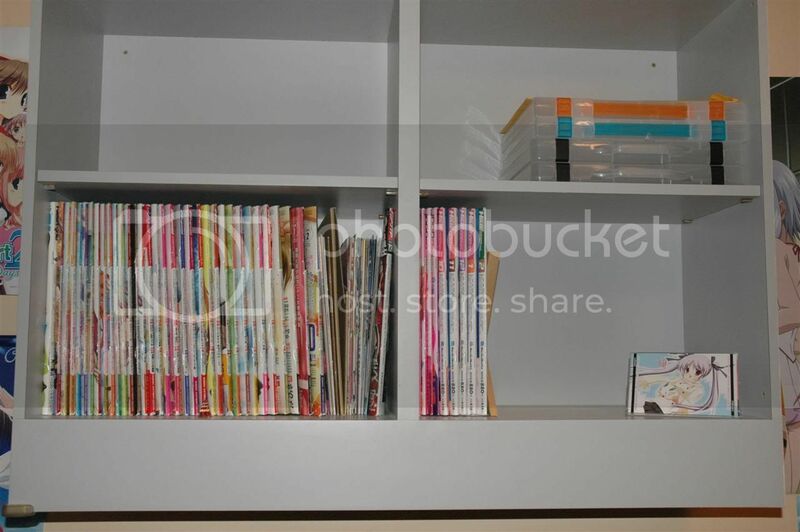 That's about all my loots from Japan and my magazine "library". 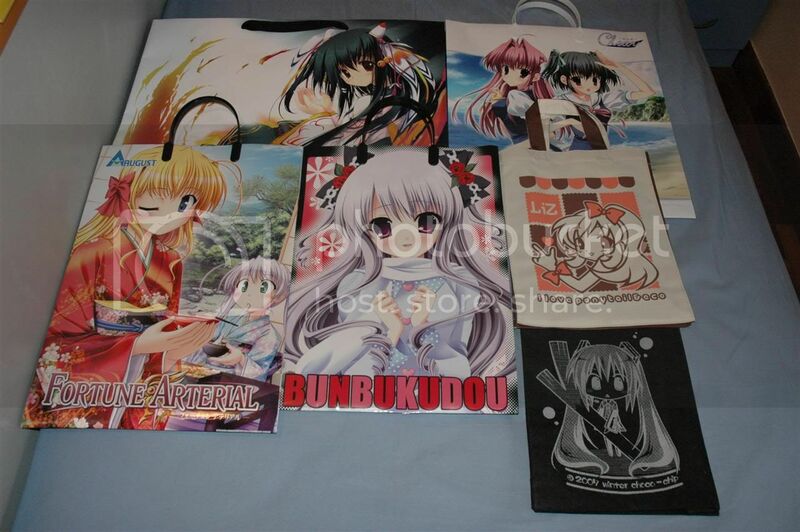 Not in the photos but are also loots from Japan were my Gurren Lagann and Shakugan no Shana's Torch T-shirts as they are currently in wash. Wore the GL one to KKnM yesterday and the Torch one to church today. Loving those shirts ^^. Next 2 days would be spent doing up the room and cleaning up, so I doubt I be doing any updates (I'm also rewatching Gurren Lagann at the same time LOL). 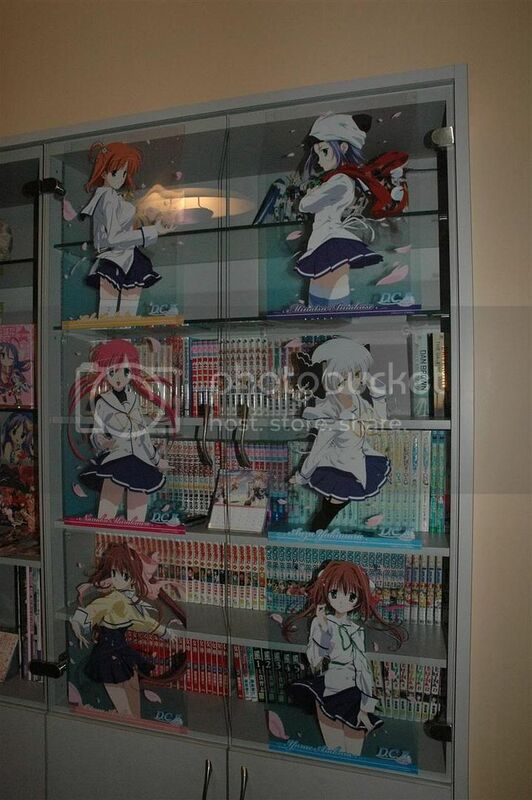 Hopefully will get those photos of the room up by CNY Eve night. Until then, Enjoy and Signing out. I wish I could have!! 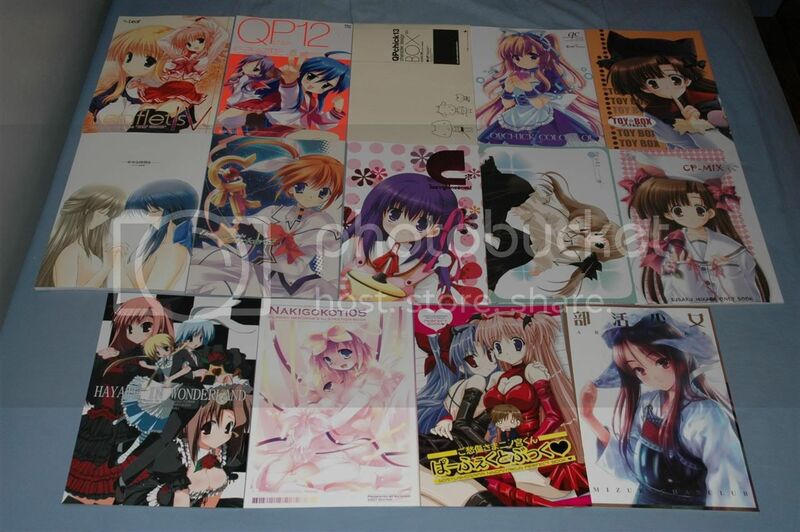 But I think I did spent about 20-30k yen in there. It's truly a jewel. 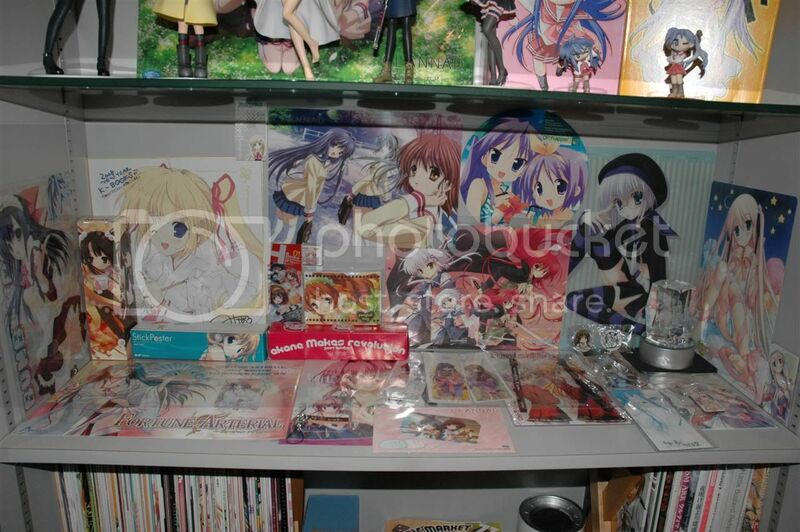 Almost a month to japan and you come back with a truck load of loots......=.="
How do you get the $ supply to get all this? !